Mountain stone home beautifully situated on 22.75 acres has the look & feel of a Smokey Mtn Retreat! This 2605 sq.ft, 4 bedroom 2.5 bath home features living & family rooms, 2 wood burning fireplaces, formal dining room & eat-in kitchen with breakfast bar. Updates include new: heat & air unit, roof, windows & doors, & paved driveway! The 22.75 acres is bordered on one side by a picturesque rolling mtn creek that flows into the Collins River which runs along another side of the property. 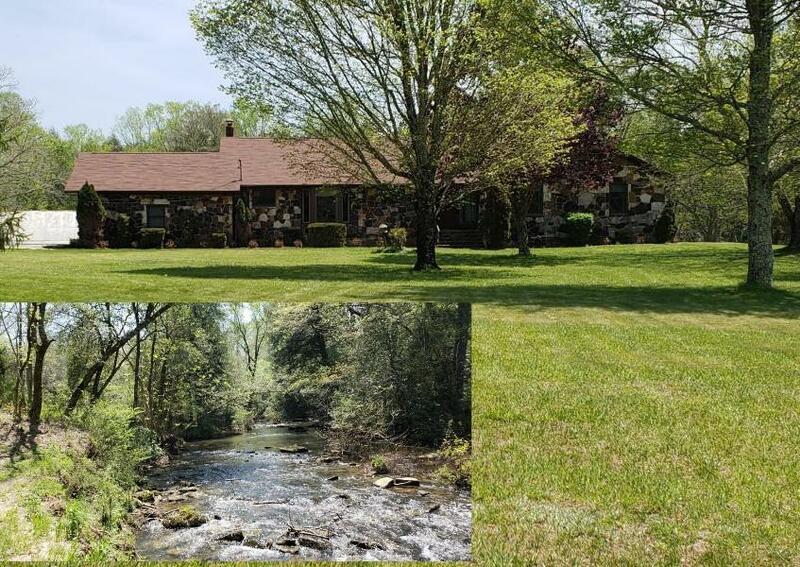 This lovely farm has 8+ acres in fenced pasture (that has access to the creek for livestock), a pond, barn, storage shed, & a nice large 50x100 ft. storage building that will accommodate an RV & has its own septic tank & electric panel. Quiet country living at its best! This one is a must see!